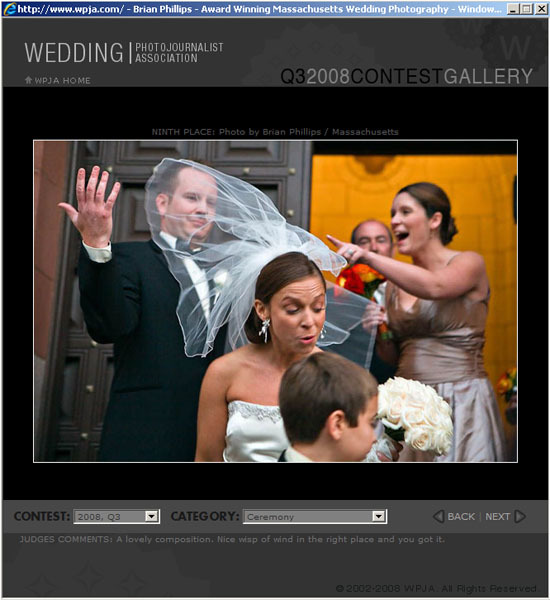 Just placed 5th and 9th in the Wedding Photojournalist Assoc. 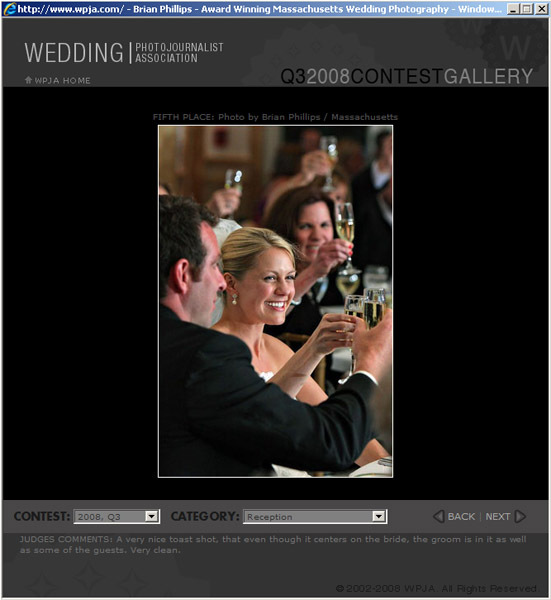 quarterly contest. Definitely some stiff competition from all around the globe. Be sure to check out the winning photos as many are truly amazing! 5th Place photo taken at The Wequasett Inn on Cape Cod. And a 9th Place... Was such a 'Right Place at the Right Time' photo.